Veranda Classics fire pits are available in a variety of sizes and styles to fit a host of outdoor spaces. 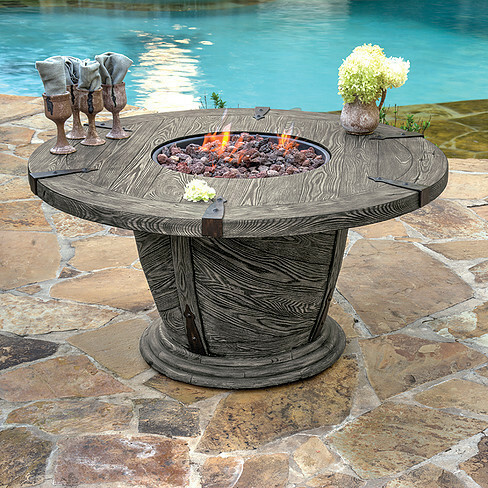 Each fire pit is equipped with an electronic ignition, porcelain coated stainless steel fire bowl, and 50,000 BTU burner. Standard propane hookup and natural gas orifice is included with every fire pit. All Veranda Classics fire pits meet CSA (Canadian Standard) certification. All fire pits include lava rocks and fabric weather cover.